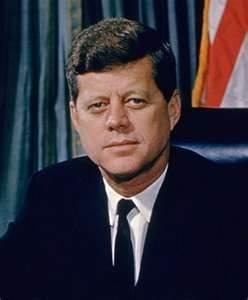 Most people remember JFK as the charismatic 35th president who was assassinated in Dallas Texas on November 22, 1963. However, he was also a hero of World War II. When Kennedy's boat was struck and sank by the Japanese, he led his men to Naru Island; eventually swimming nearly 5 miles to safety. Kennedy carved an SOS message on a piece of coconut and sent it with a native scout. Years later, he used that piece as a paperweight on the Resolute Desk. In honor of Kennedy's “high standards and sacrifice,” we offer a Premium, dark roasted, coconut flavored coffee, from Colombia.